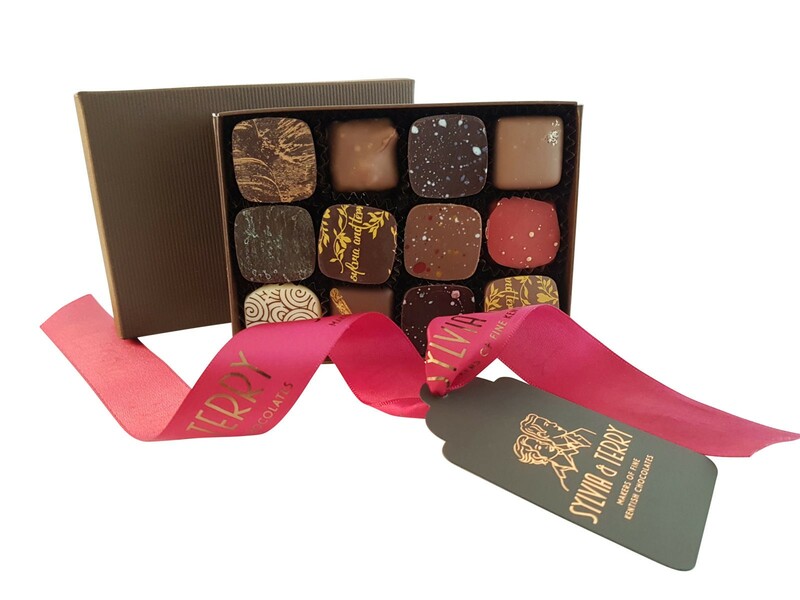 A decadent selection of our delicious chocolates, handmade in Kent with fine Valrhona chocolate couveture. 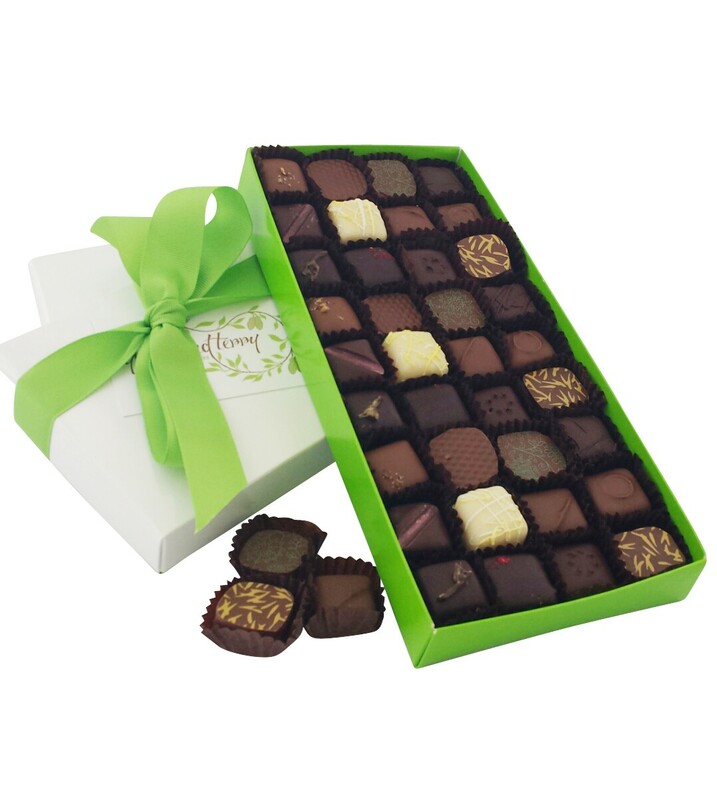 Our handmade chocolates are at their best for four weeks from delivery. As delicious and they are beautiful, our berry burst chocolates are made with fine Valrhona 62% dark chocolate, Cherry, Blackberry, Blackcurrant & Raspberry and a generous measure of Cherry Brandy. Handmade with pure roasted pecan praline, a touch of sea salt, fine Valrhona Milk Chocolate and topped with crunchy candied pecan pieces. 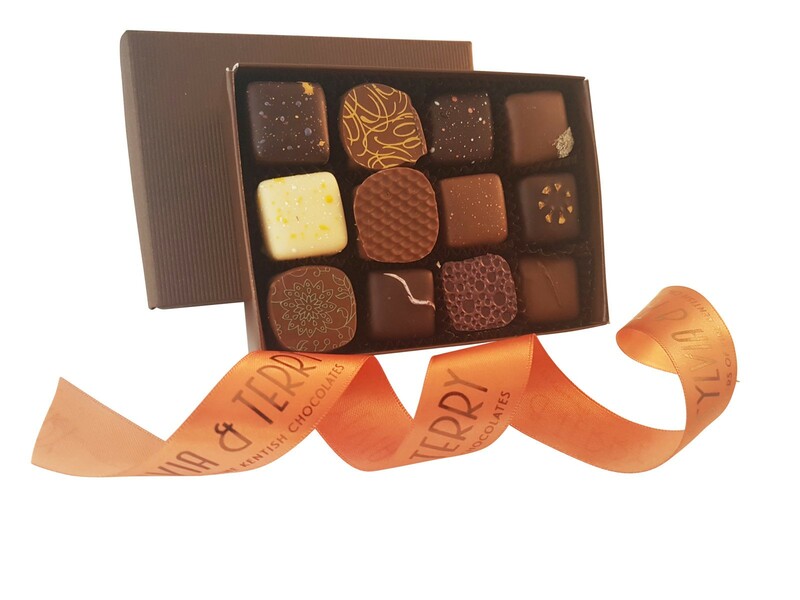 Our current collection includes, Salted Caramel Ganache, Pistachio & Rose, Bergamot & Rosemary, Blackberry & Cinnamon, Damson & Violet, Geranium & Orange, Earl Grey, Passionfruit & Apricot, Chestnut & Cobnut, Raspberry Ganache, Elderflower & Lemon, Cobnut & Sea Salt. 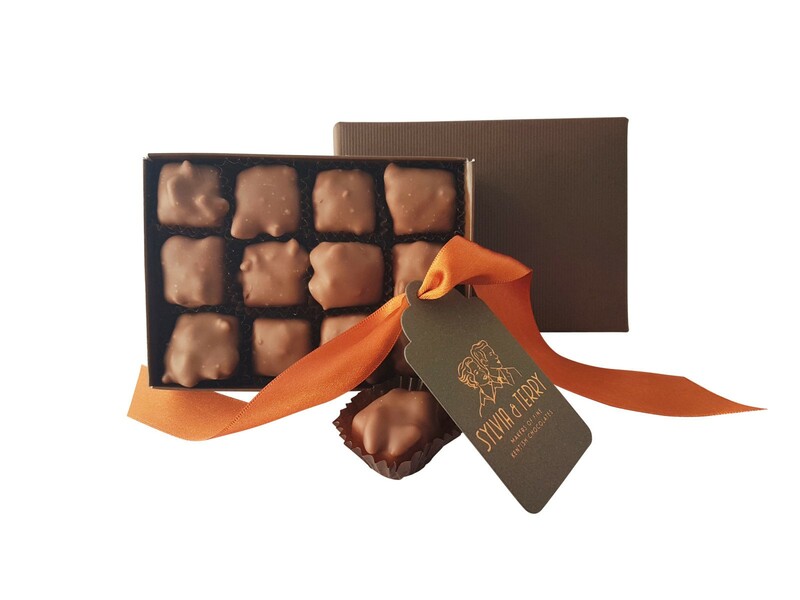 Our chocolates are handmade and hand packed to order, if you have any preferences please use the contact us box prior to ordering. Our current collection includes, Blackcurrant & Juniper, Raspberry Rose & Pink Peppercorn, Cobnut & Sea salt praline, Ginger caramel, Salted Caramel, Lime Caramel, Orange confit caramel, Peanut butter praline, Hazelnut Latte, Mango & Passionfruit, Rose Turkish Delight & Strawberry Inspiration.